• Iron & Wine have a habit of dropping companion EPs close on the heels of their full-length releases. In August they did it again with Weed Garden, a collection of six tracks that weren’t finished in time to make last year’s Grammy Award-nominated Beast Epic. Iron & Wine (as North Carolina singer/songwriter Sam Beam prefers to be called) is currently wrapping up their fall tour in New England. 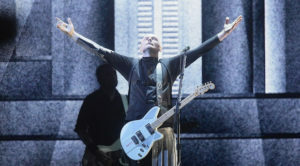 • Fresh off their mega reunion tour, alternative rockers Smashing Pumpkins have announced their first album of original material in nearly 20 years. Shiny and Oh So Bright, Vol. 1 / LP: No Past. No Future. No Sun. is a long album title. It also marks the band’s 10th overall studio release and first to feature three of its four founding members – frontman Billy Corgan, guitarist James Iha and drummer Jimmy Chamberlain – since 2000’s Machina/The Machines of God. The eight-track effort, recorded with Rick Ruben, is set for release Nov. 16. • Former Husker Du and Sugar guitarist Bob Mould has announced he will release his latest project on Feb. 8. The self-produced Sunshine Rock album marks the indie rocker’s 13th full-length since going solo in 1996 – and first since 2016’s Patch the Sky. Mould’s announcement also included news that he will kick off an extensive North American and European tour that same month. • Fresh off a pair of full-length releases last year, Rhode Island alternative band Deer Tick is going back to explore the material again. Mayonnaise, due Nov. 9, features a series of alternate takes of tracks that appeared on Deer Tick Volume 1 and Deer Tick Volume 2. The compilation also includes three brand new songs and a series of covers they began developing live during their Twice Is Nice tour. • They made their big breakthrough in 2015 with Men Amongst Mountains and finally the cold, hard wait is over. We’re talking about The Revivalists, who have finally announced the follow-up Take Good Care will hit the shelves on Nov. 9. The New Orleans rockers enlisted Nashville legend-in-the-making Dave Cobb for production on a few of the album’s 14 tracks, and already its first single has hit No. 1 on Adult Alternative Radio. The Revivalists also announced they will kick off a North American tour beginning in January. 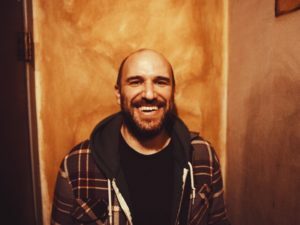 • He retired his band name in 2005, but somewhere along the way David Bazan has decided to revive his old group. It started with a few solo dates last year, and then a full U.S. tour – now Pedro the Lion is slated for its first record in 15 years, Phoenix (due Jan. 18). Bazan is joined by Erik Walters on backing guitar and vocals and Sean Lane on drums in the latest incarnation of Pedro. Phoenix will mark the Seattle-based trio’s fifth full-length and first since 2004’s Achilles Heel. • And bringing up the rear is Amos Lee, whose politically-tinged seventh studio release, My New Moon, was released in August. We’ve previously played “No More Darkness, No More Light” from the 10-track effort, which features contributions from multi-instrumentalist Blake Mills, drummer Chris Dave and pedal steel guitarist Greg Leisz. An Election Day follow-up just seemed appropriate.